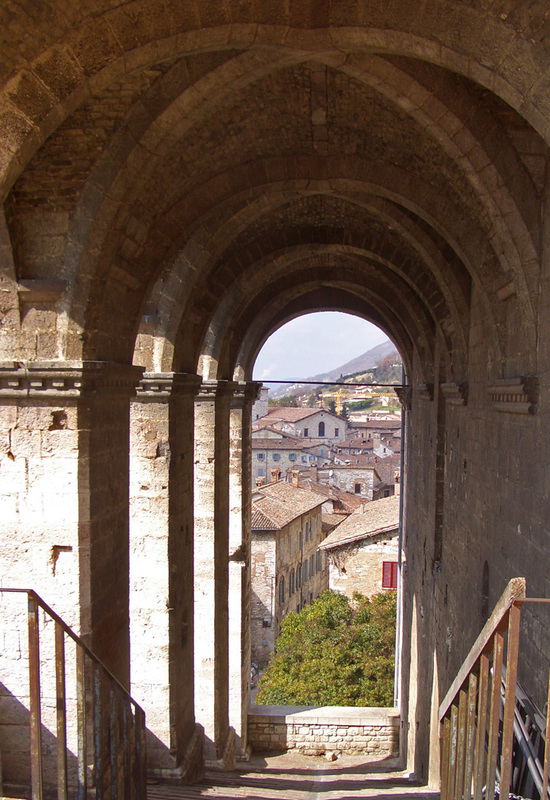 In the Umbrian hill town of Gubbio, the view from the Palazzo dei Consoli is spectacular. But what is that line running across the arch, "ruining" the picture? That is a steel rod, a reinforcement for the 14th century architecture. 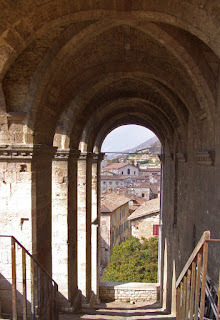 You see such reinforcements all over Italy, sometimes spanning a charmingly narrow street. Italy is susceptible to earthquakes. We've had deadly proof of that again this week. Precariously perched villages with ancient walls and buildings are picturesque, but preserving the dream of Italy can be a tragic gamble.